BJP national president Amit Shah's Rajya Sabha debut had triggered speculation on his possible role in the government and the party. After spending three fruitful years as BJP president where he tripled the number of states the party ruled, it was also said that he could take up an important ministry such as defence. Turns out that Nirmala Sitharaman became the defence minister and Shah is still doing what he does best — strengthening the party across the country. 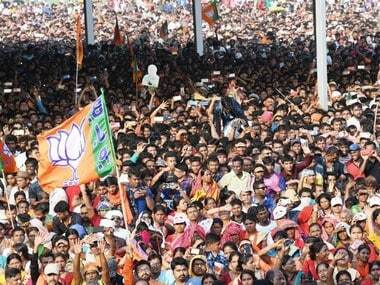 The next step in his plan for expanding BJP's hegemony across India looks to be Kerala. As DailyO points out, despite the "Modi wave" across the country in the 2014 general elections, the party didn't do too well in Kerala and its candidates lost deposit in most seats. As the next elections loom in the horizon, the BJP plans to work well in advance and increase its numbers. Shah's last visit to "God's own country" was as recent as June when he held a series of meetings with office bearers of the BJP and Rashtriya Swayamsevak Sangh (RSS) as part of efforts to strengthen the party's base in Kerala. His visit was aimed at wooing the Dalits and the minority communities in the state, where the party has been struggling to get a foothold. It is in this context that the party is conducting the 'Janaraksha yatra' in Kerala. It was mooted in August to keep the heat on the Left government in the state over the killings of BJP and RSS workers. It was supposed to be a "mega roadshow" in early September, which top leaders — including Shah and chief ministers of BJP-ruled states — were scheduled to attend. The "padayatra" was scheduled to start from Payyannur in Kannur and to conclude at the state capital. The event was postponed on 29 August because it would have been 'inconvenient' for Shah to attend, according to the party. A party release had said "the yatra to be led by state BJP chief Kummanom Rajasekharan, which was scheduled to commence on 7 September, has been postponed to October." However, a report in the Deccan Herald said that the visit was postponed as the RSS believed that the state BJP leaders are not committed to strengthening the party. The postponement caught the party's Kerala leadership off-guard. The Janaraksha yatra is now scheduled to be held from 3 to 17 October. 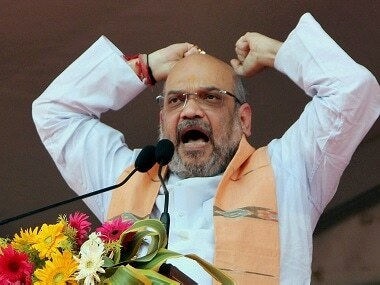 However, even before the event was postponed, the CPM was alleging that Shah was visiting Kerala to create trouble and "to destroy the reputation of the state which is known for its secular and democratic credentials". Alleging that the Sangh Parivar was showing its "intolerance", CPM district secretary P Jayarajan said that Shah should first take out a march in BJP-ruled states of Uttar Pradesh, Madhya Pradesh and Haryana as the state face severe law and order issues under the party's rule. Politically, the party is a lightweight in Kerala, with only one member in the 140-seat Kerala assembly. It was further rocked by allegations of corruption in an internal probe ordered by its state party chief Kummanam Rajasekharan. The probe panel found that RS Vinod, state convener of BJP’s cooperative cell and a yuva morcha leader, had allegedly taken Rs 5.60 crore from the owner of a medical college to be paid to Medical Council of India authorities in Delhi. It was also not the first time corruption allegations were levelled against Kerala BJP leaders. During Atal Bihari Vajpayee’s regime, it was alleged that the Kerala BJP leaders had accepted crores of rupees to allot petrol pumps. 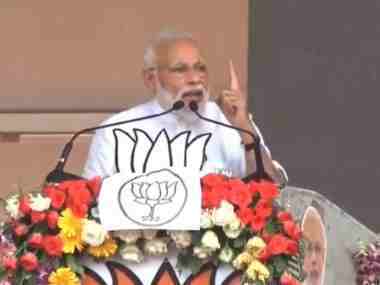 None of this stopped Shah from exhorting party workers to ensure an increase in the vote share of the party in Kerala from the present 15 percent to a "minimum of 40 percent", which, he said was "essential" for a poll victory in a three-cornered contest. But many believe it's a near-impossible task, given the state's demographic peculiarities, where Muslims and Christians (who are in minority in the rest of the country) make up 45 percent of its 33.3 million population. 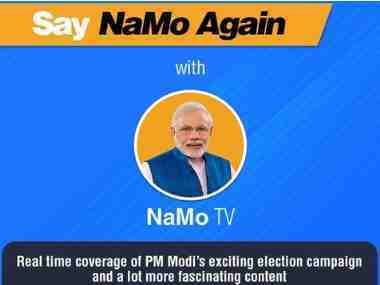 The BJP’s strategy is to win over Christians, who constitute 18.38 percent, and Dalits who are 9.8 percent of the population, to reach beyond its traditional footprint among the upper caste Nairs and, of late, the lower caste Ezhavas. 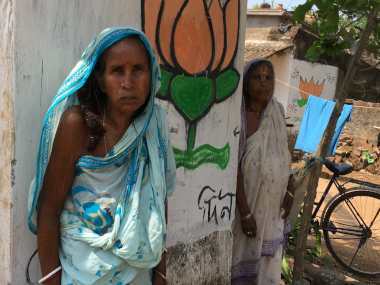 Pollsters say BJP made slight inroads into the Christian voters in the 2016 Assembly elections, but the Muslims remained as elusive as ever. The strategy was visible in Shah's actions in Kerala as he reached out to the Christian community in Kerala for support, reported The Economic Times. He asked the state leaders how they planned to make inroads in the Christian community but had no questions about Muslim voters. He also directed the state unit to woo OBC and Dalit voters. Shah is also trying to pacify a miffed ally, Bharat Dharma Jana Sena (BDJS), as it tries to save the alliance. According to The Indian Express he has invited BDJS leader Tushar Vellappally to Ahmedabad for talks. Tushar's father Vellappally Nadesan is the chief of BDJS and had earlier said that the BJP had failed to keep the coalition dharma.